The Russian potash producer will supply India Potash Limited 800,000 metric tonnes of potash at $322 per tonne on a CFR basis. Russia’s Uralkali, one of the world’s largest potash producers, said on Tuesday it concluded a contract with Indian Potash Limited (IPL) for potash deliveries between April 2014 and March 2015. The rate of $322 per tonne on a cost and freight basis (CFR) would be around 25 percent less than what it supplied to the Indian company last year. Last year Uralkali charged India $427 per tonne. 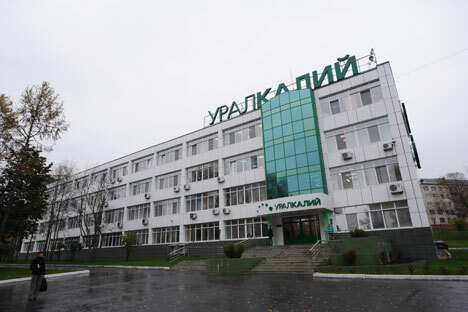 “Uralkali’s volumes under the contract will total 800,000 metric tonnes of KCl (potassium chloride),” the company said in a statement. The deal is effective April 1 and for the 2014-15 financial year. India and China are the world's largest consumers of potash. Despite the lower prices offered to IPL, it is unlikely that there will be a spike in the demand for potash as the Indian government reduced the potash subsidy by almost 20 percent to reduce its fiscal deficit, industry sources told RIR. India’s potash imports stood at 3 million tonnes in 2013-14.